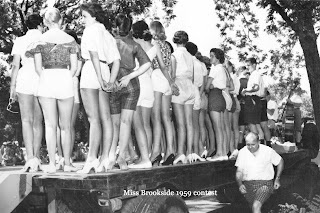 I had 2 different people ask Brookside-related questions within the same month. 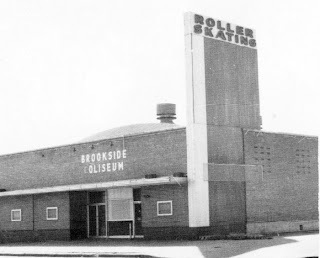 The first one was: how did Brookside get its nickname? 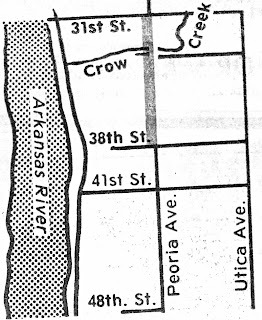 The 2nd one was: how did Crow Creek get its name? 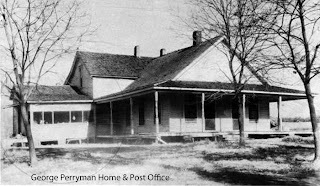 Lewis Perryman came in 1884 and established a trading post along the Arkansas River. 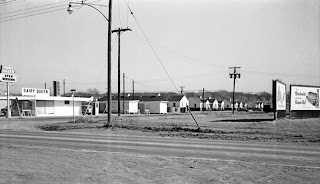 They once had a ranch encompassing more than 60,000 acres between Tulsa and Broken Arrow. A branch of the Chisholm Trail passed across Crow Creek near 32nd and Rockford. This was cattle country early on. Wagon tracks were still visible in the 1930's. 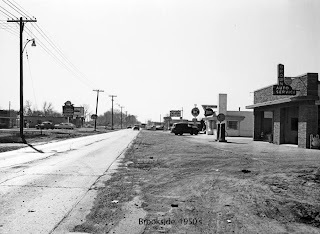 That being said, Brookside could well be considered one of the oldest parts of Tulsa. 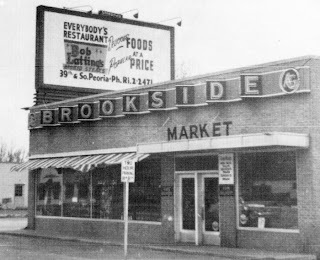 It is believed that a store owner by the name of Guy Scroggs was the first to use the name “Brookside” when he named his drug store Brookside Drugs around 1940 and it stuck. 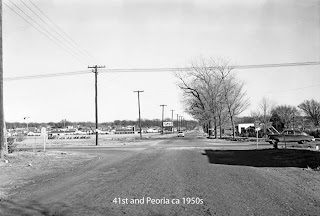 In the 1920s people were saying the smart place to buy land was out in the country on South Peoria. Where the city limits sign stood in a weeded lot. And you had to drive into town to purchase goods. 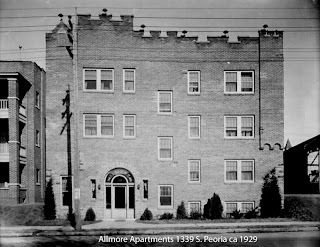 The Allmore Apartments, 1339 S Peoria in 1929 must have been right on the "edge" of town then. And the 2nd question? 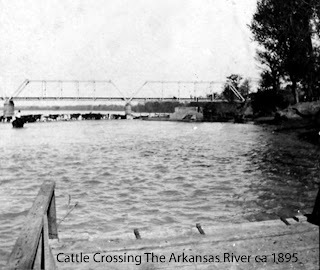 Crow Creek was named after a railroad president, not a bird. 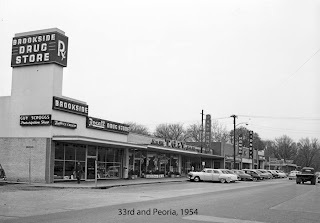 Thanks again to Nancy for her generous loan of material on Peoria in the early days. 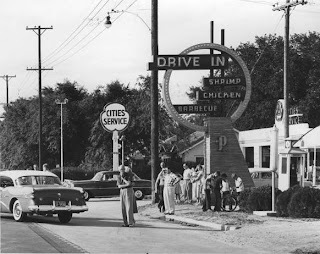 Be sure, dear reader, to check out her blog for more Tulsa history. postscript/addendum : The motorcycle mentioned in the opening was borrowed from a buddy for a weekend ride around the area. In November, said friend was riding in the hills of the northeastern part of the state when a sizable deer came bounding down the side of a hill and ran into him, sending my buddy, the bike and the deer rolling down the rock strewn face opposite. Neither the deer nor the motorcycle survived, and my friend got a ride in a helicopter. RIP Rocket III and get well soon Monte. 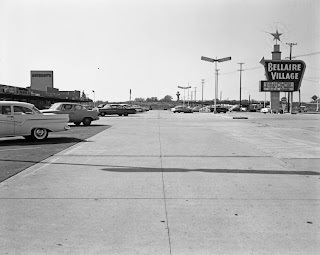 You might enjoy my Historic Tulsa blog. 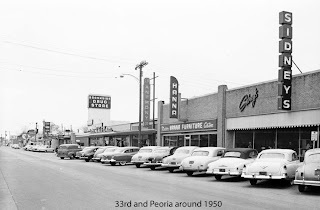 I have not added to it in quite a while but it looks at 100 buildings or locations with then and now photos. Check it out. 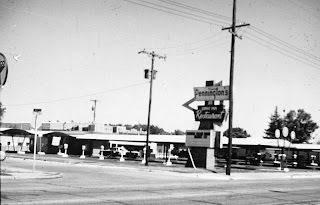 Indeed ; one of the reasons it's listed in my 'Favourite Tulsa Sites' ! Thanx for looking at the 'Restless Ribbon' . Ah, so it is. I have not posted to that is a year and it still gets around 50 hits per day, mostly sent there by Google I imagine.